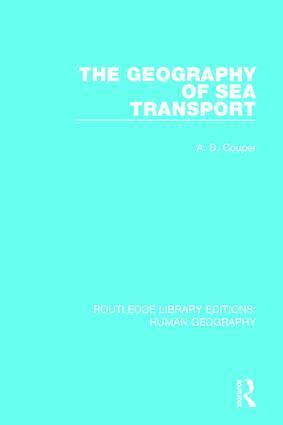 This book, originally published in 1972, discusses the impact of technological change in sea transport on trade links, shipping routes and economic activities. A brief historical perspective illustrates the vital role of the sea transport in the ancient and medieval worlds and the influence of merchant shipping on British economic growth in the nineteenth century. The author then discusses modern trends in world ship-owning, ship-building and ship types against a back-ground of supply and demand. Of particular importance is the assessment of the role of shipping in relation to developing countries.